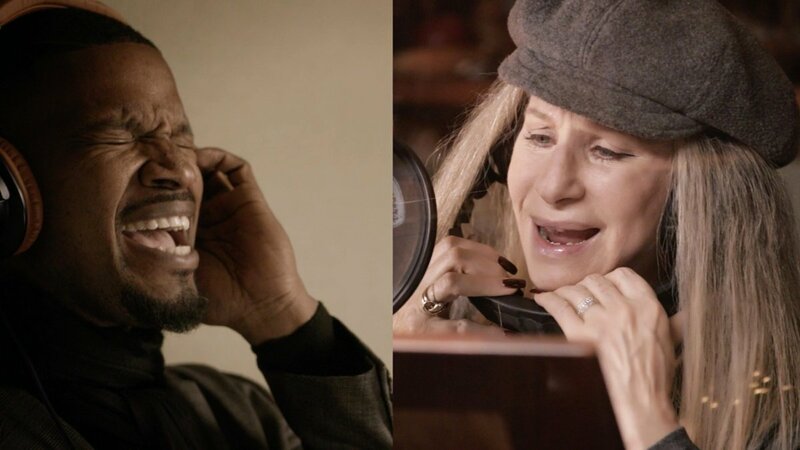 We know you’re still recovering from Barbra Streisand coaching Daisy Ridley and Anne Hathaway as they performed “At the Ballet,” but brace yourself: Babs sang “Climb Ev’ry Mountain” with Jamie Foxx, and there’s video. Between the two commanding us to ford streams, follow rainbows, etcetera, there’s a lot to take in. For instance, Barbra claims she hasn’t sung in two years and (following his uncanny impression) starts referring to Foxx as Quincy Jones. Catch the Sound of Music tune and more on Streisand’s upcoming ENCORE: Movie Partners Sing Broadway; the album drops on August 26.